We, at â??MR. WEBSECURITYâ? ?, have a team of professional security experts who have vast knowledge in this domain. With the increasing demand of cyber security professionals, we aim to provide industry-based trainings to security aspirants. Also, we have come up with online trainings, so anyone can take benefit of this flexibility. Reach out to us to know more insights about us. We do testing on websites and web applications to find bugs, report these bugs to the respective owners and in turn get paid. The team at MR. WEBSECURITY is qualified and certified from Innobuzz Knowledge Solutions Pvt. Ltd. Landmark: Opp. of Andheri Station, Andheri (W). 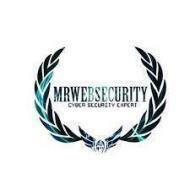 Mrwebsecurity conducts classes in Cyber Security and Ethical Hacking. It is located in Andheri West, Mumbai. It takes Regular Classes- at the Institute.